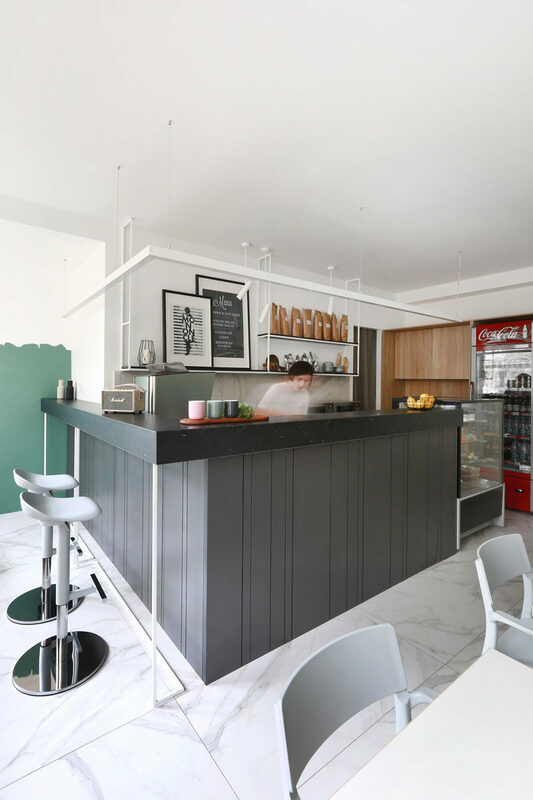 ZE|Workroom Studio have recently completed the design of a small and cozy cafe that’s located in Moscow, Russia. 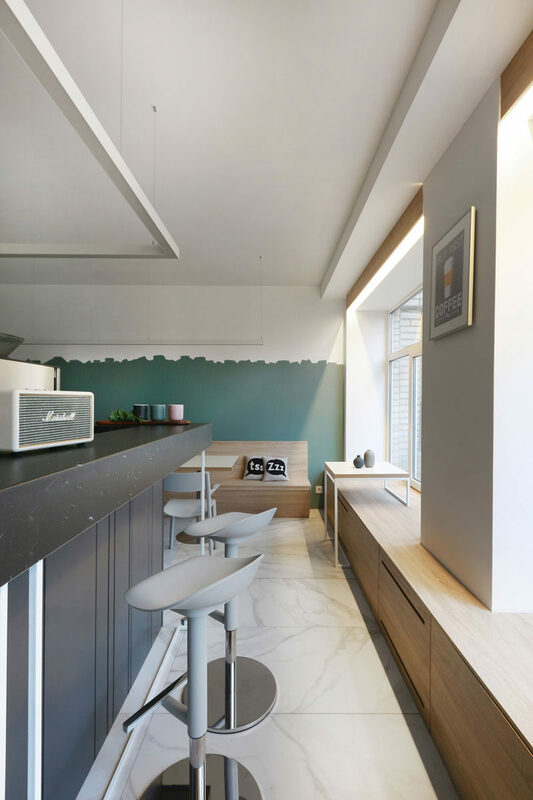 Throughout the cafe, turquoise paint with an uneven edge finish has been used to add color to the mostly white interior. 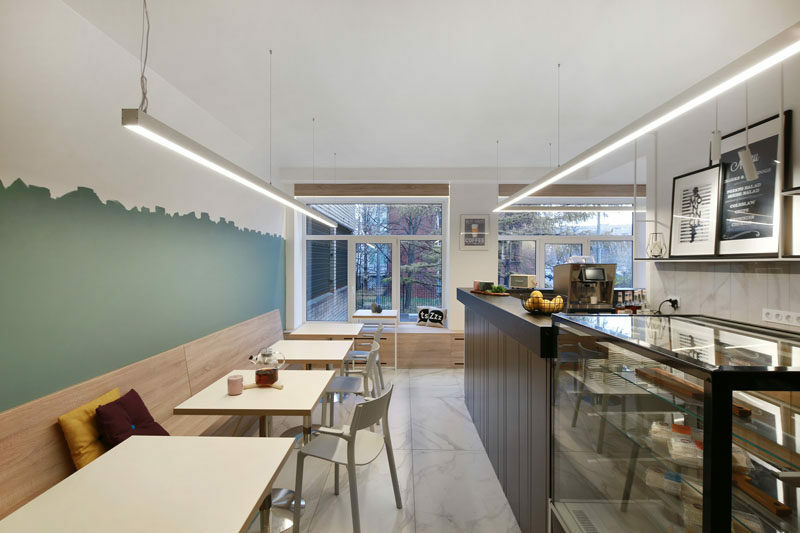 Running along the back wall of the cafe and underneath the windows is a custom window sill that also acts as a wood bench to creates additional seating, and allows people to gaze out of the window.